Except for a few minor modifications, the Citroen Relay shares the same design and technology with the Peugeot Boxer and Fiat Ducato. The vehicle is available with a wide range of options and was designed as an efficient and light commercial vehicle. 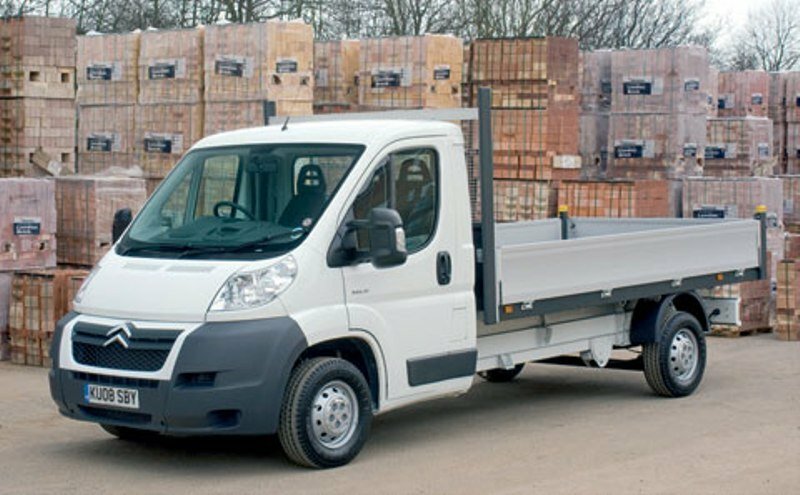 There Citroen Relay is available as a dropside, panel van, box van, crew cab, tipper and freezer, and comes with both leaf and air suspension configurations. 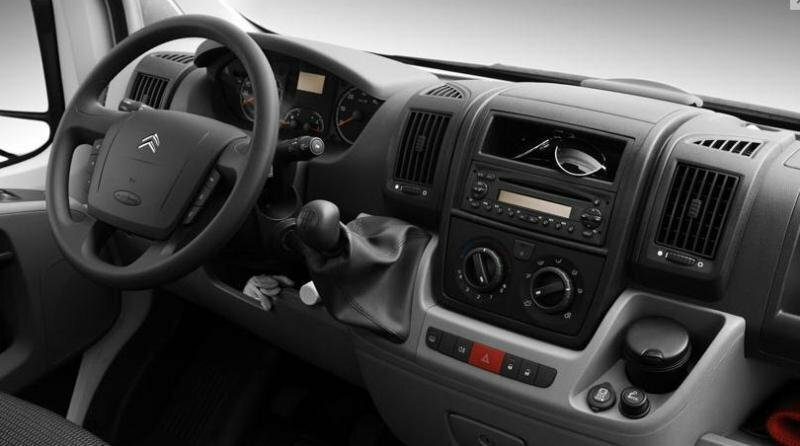 The Citroen Relay is priced from $ 18.800 and has a generous payload capacity that can go up to 4 tones. Except for a slightly redesigned grille the Citroen Relay is identical with its other two siblings from Fiat and Peugeot. This been said, we kind of like the design as it’s a bit different that what you’ll usually find in the segment. Its unique appearance comes from the unconventionally placed headlights which stand much higher than normal. Despite their odd position however, they manage to give the vehicle a pretty dynamic look. The rest of the design is kind of basic and the company didn’t even try to mask the boxy shape of the body. The big screen is heavy raked and follows the same angle as the bonnet offering a good front visibility. The wraparound bumper is big and imposing, underlining the utilitarian nature of the Relay and it can also be fitted with two circular fog lights that come as an option. The profile hasn’t anything special and apart from a set of rubbing strips, vertical door handles and the plate sized door mirrors fitted with turn signals there isn’t anything else worth to be mentioned. Unsurprisingly, the interiors look identical with the Fiat Ducato and Peugeot Boxer. The only change made, is the Citroen logo mounted into the center of the four spoke steering wheel. The design is pretty basic and don’t expect to any fancy details. However we can’t say that it looks bad as it’s a perfect match for the utilitarian character of the vehicle. The plastics were chose for their durability so you won’t find any soft surfaces around the cabin. On the other hand, even if the build quality can’t be compared with the Ford Transit or Volkswagen Crafter, the fittings looks pretty good and there aren’t any major faults in this department either. The overall ergonomy is among the best in the business and many consider it even more user friendly than the Mercedes Sprinter. The dashboard is equipped with radio/CD player with MP3 compatibility as standard which comes with steering mounted controls. There are also a few stylish details which give the cabin an air of sportiness and our favorites are the chromed touches for the air vents, gear lever and the ventilation controls. We don’t have any complains about the controls layout as everything comes easy into hand. All Relay models feature Trafficmaster satellite navigation and vehicle tracking as standard while traffic update and speed camera warning facilities also included. The steering wheel inspires confidence as it offers a good grab and has an ergonomic design. It can also be adjusted for reach and rake for enhanced comfort. As most vehicles in the segment the Relay’s seats are flat and offer only a minor lateral support. Luckily they come with a wide range of adjustments for back, height and reach. You also have a commanding view of the road which is combined with a big windshield to offer a proper view of the road. The dashboard provides multiple storage areas and clever features. For enhanced practicality, a document clipboard integrated into the top of the dashboard keeps paperwork tidy, while a panel integrated into the back of the front dual passenger seat unfolds to become a work surface. There are also two lockable glove compartments, specially designed to accommodate a laptop. The option list includes features like cruise control, parking sensors, rain & dusk sensors and climate control systems with manual or sunlight sensitive automatic settings. The Citroen Relay is offered with a choice of three engines including two 2.2-litres and a 3.0-litre unit. The 2.2-litre is offered with either 110hp or 130hp while the 3-litre can develop a maximum power of 180hp. Maximum torque figures are 280Nm and 320Nm for the 2.2 liter units and a generous 400Nm strongest engine. Regardless of what engine you’ll choose you won’t have any complain about it, as all of them are able to deal with big payloads without thinking twice and offer a good spread of torque. All engines have four cylinders in line, with four valves per cylinder and double overhead camshafts. The new 2.2-litre unit features an aluminum alloy cylinder head on a cast iron block and uses a fixed geometry turbocharger with an intercooler. The engines are mounted on a 6 speed manual transmission which is pretty smooth and responsive, being a perfect match for the arduous missions of the Relay. 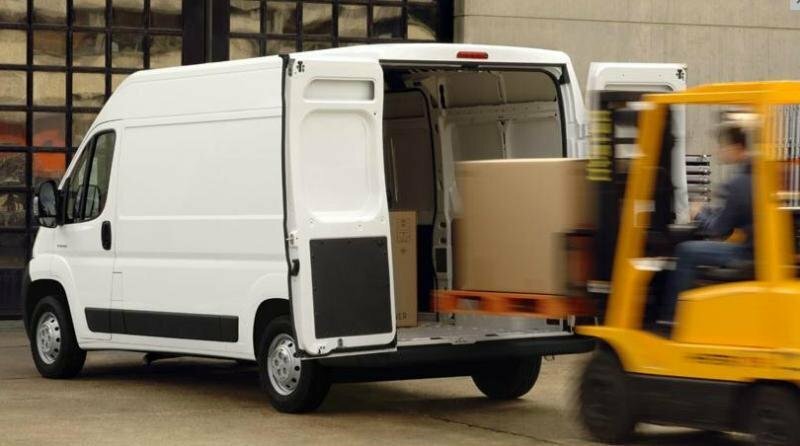 The Citroen Relay comes with MacPherson front suspension combined with anti-roll bars and shock absorbers for a more forgiving ride, while at the back is available with double or single leaf configurations or pneumatic suspensions. The pneumatic suspension offers a constant ride height under all load conditions, a lower load sill and an enhanced comfort option. 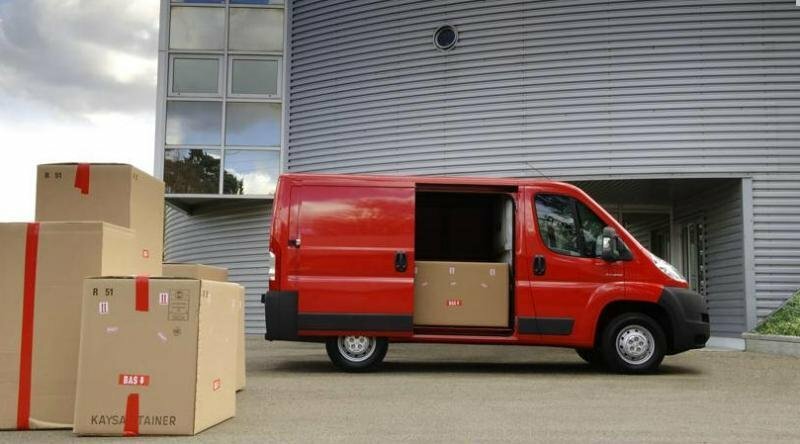 The Ride and handling is at the same levels with models like the Opel Movano or Ford Transmit but is still a bit behind the Mercedes-Benz Sprinter and Volkswagen Crafter. The standard power steering is also up to the task and offers a good maneuverability around the narrow city streets. 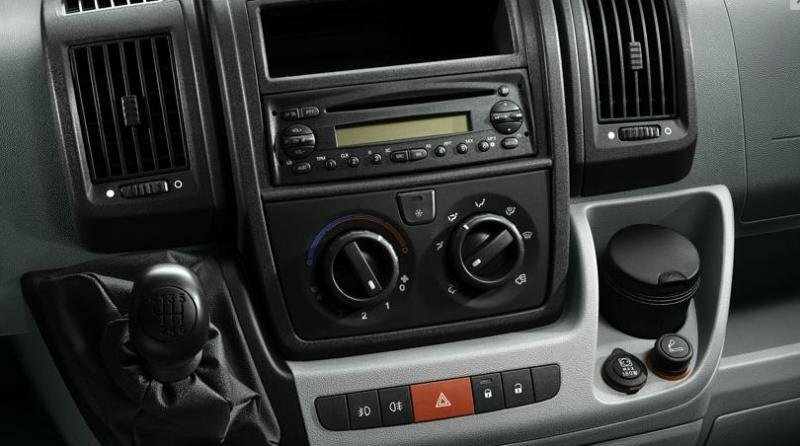 On the other hand, the Relay cab is among the noisiest in its class and lacks the sound isolations found at models like the Volkswagen Crafter or even Ford Transit. You can count on Relay’s performances with confidence as the vehicle has a good built quality and a strong character being able to deal with a wide range of applications without too much fuss. It’s true that the cabin isn’t the best built unit in its class, but it offers a good comfort and you won’t complain about the ergonomy either. The engines are up to the task as well, and even if they aren’t the most efficient unit in their class, they have strong towing capacities and won’t let you down in any situation. The Relay’s price is also worth to be mentioned, as it’s a bit cheaper than most of the vehicles in this segment.